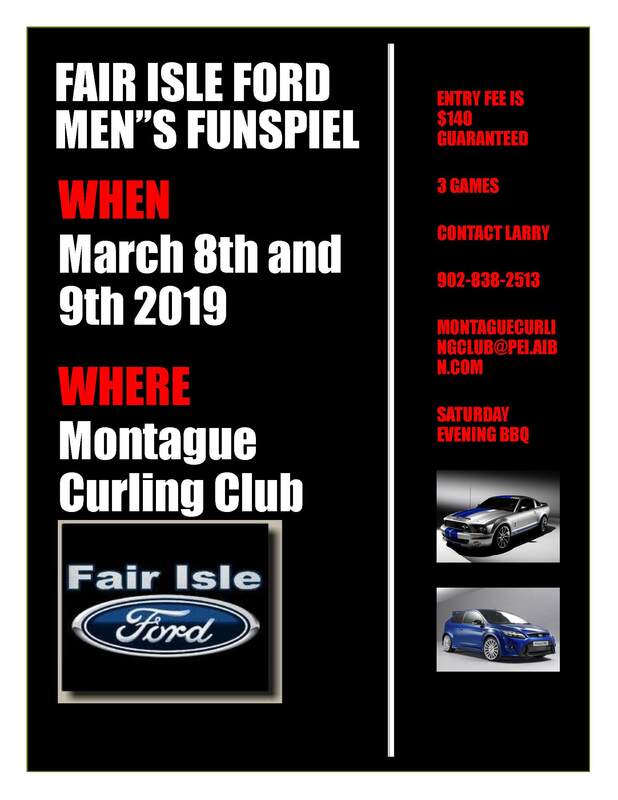 Montague Curling Club will be hosting the Fair Isle Ford Mens Funspiel March 8th & 9th 2019. 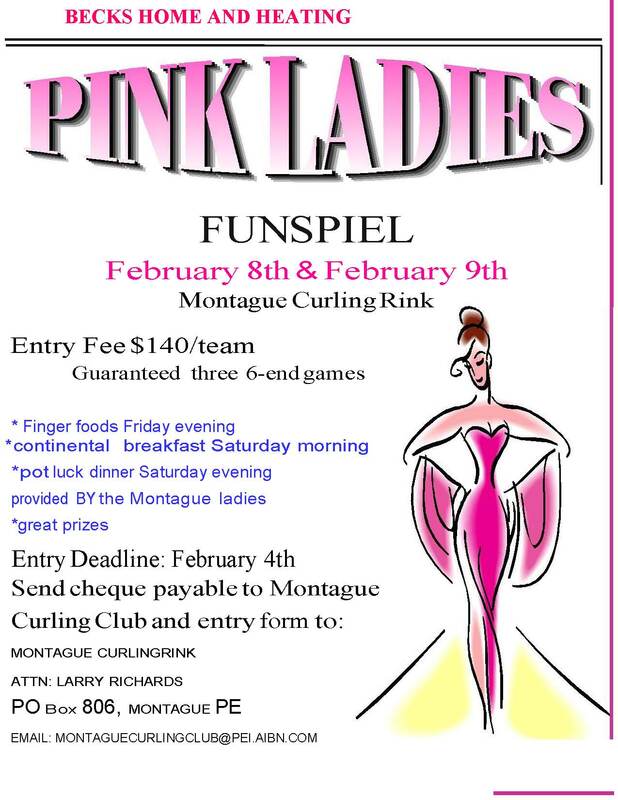 Montague Curling Club will be hosting the Pink Ladies Funspiel February 8th & 9th 2019. 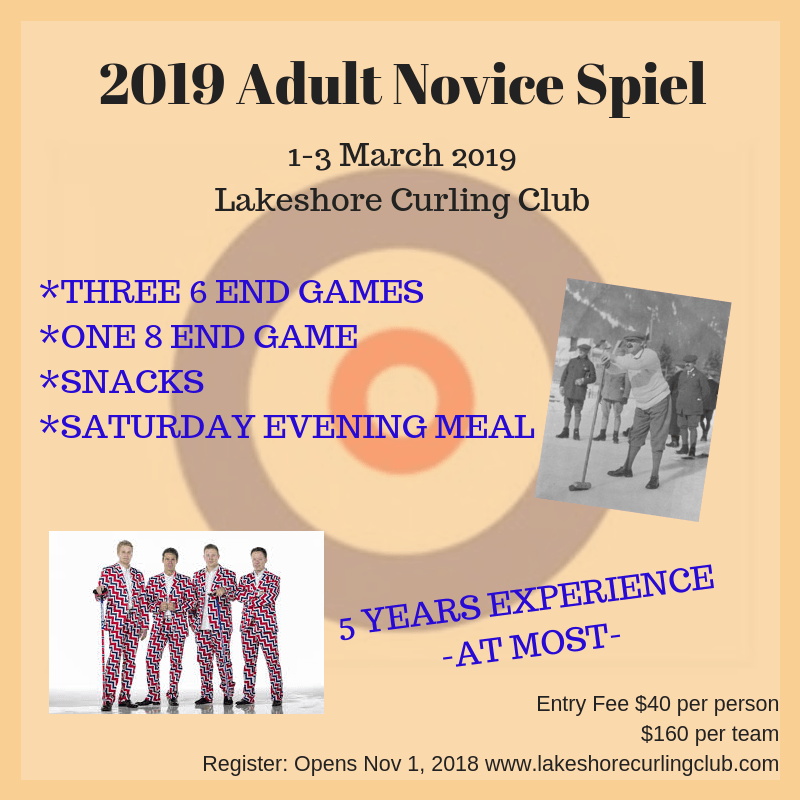 Lakeshore Curling Club will be hosting its annual Adult Novice Spiel from 1 to 3 March 2019. This event is open to individuals and teams with no more then 5 years experience. Registration will Open Dec 15! 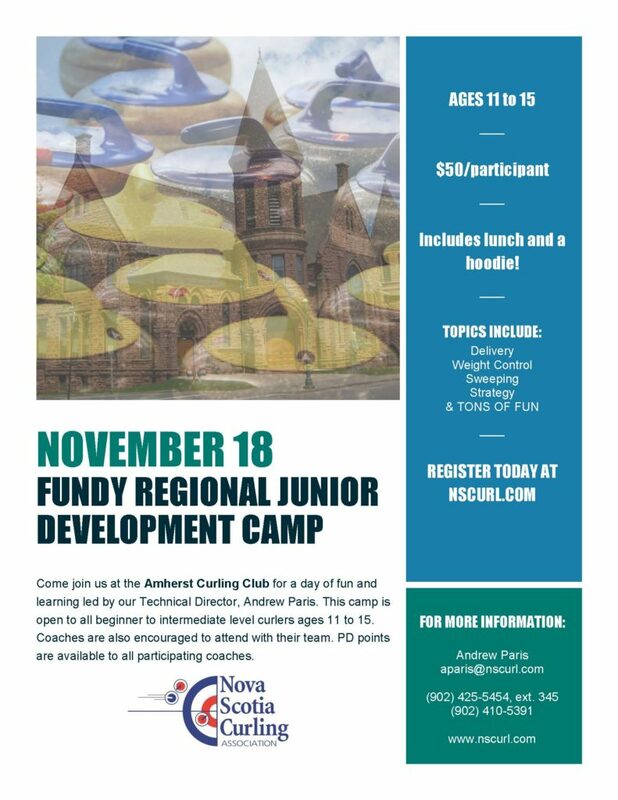 Come join us at the Amherst Curling Club for a day of fun and learning led by Technical Director, Andrew Paris. This camp is open to all beginner to intermediate level curlers ages 11 to 15. Coaches are also encouraged to attend with their team. PD points are available to all participating coaches. 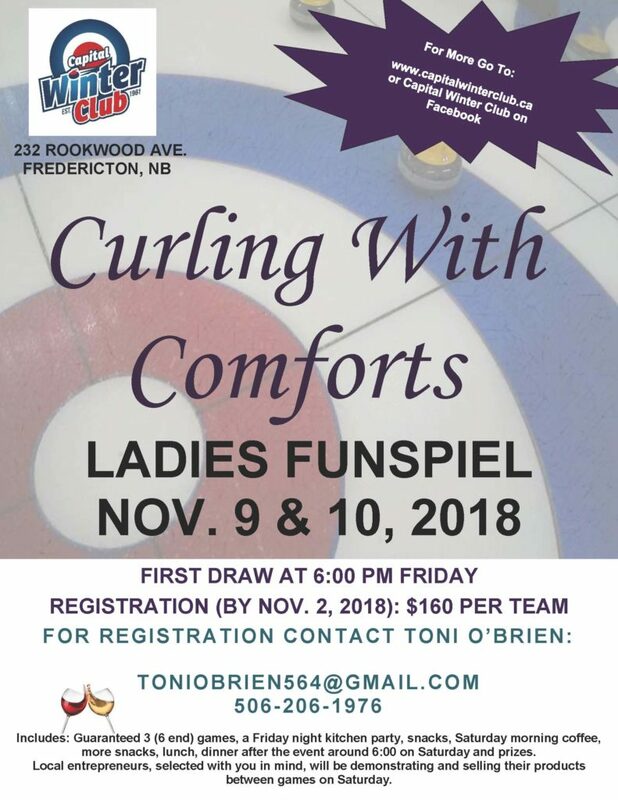 Curl Moncton has put in a bid to host the 2019 Brier and now they need everyone’s help to make it happen! http://wordpress-105331-808413.cloudwaysapps.com/wp-content/uploads/Amherst-Curling-Club-logo-2017.png 0 0 Denise Demone http://wordpress-105331-808413.cloudwaysapps.com/wp-content/uploads/Amherst-Curling-Club-logo-2017.png Denise Demone2017-04-06 09:05:442017-04-06 09:07:12Bring on the Brier! 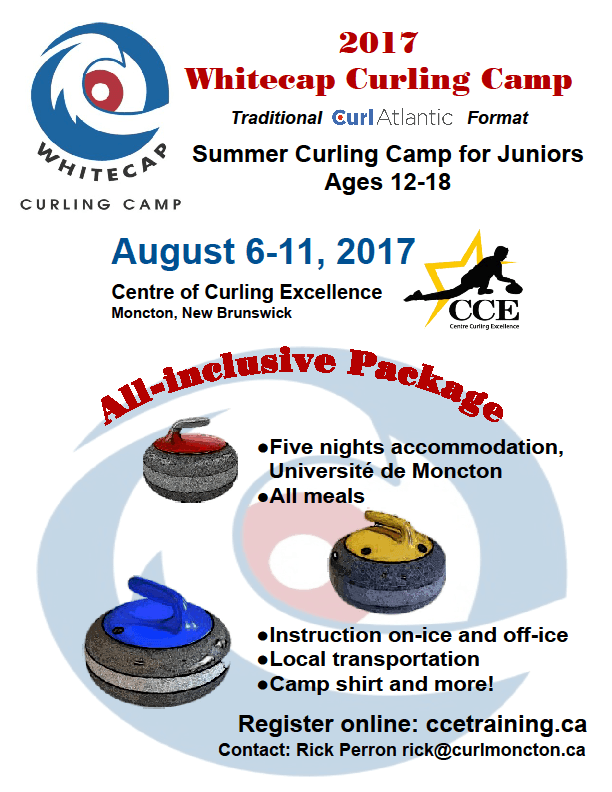 The 2017 Whitecap Summer Curling Camp for Juniors age 12-18, will take place at the Centre of Curling Excellence in Moncton, New Brunswick. This camp uses a similar “all inclusive” format to previous Whitecap curling camps, with meals and five nights accommodation at the Université de Moncton included, it also includes on-ice and off-ice ice instruction, local transportation, a camp T-shirt, and more. People can register online for the event at ccetraining.ca.